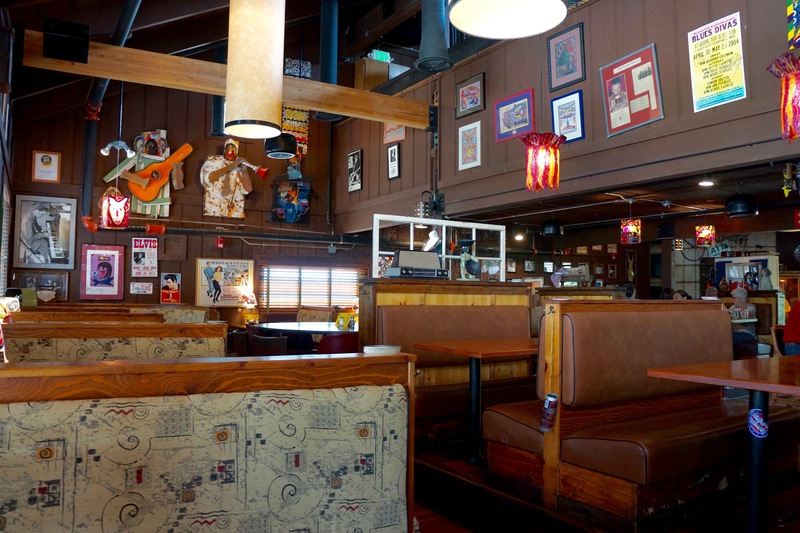 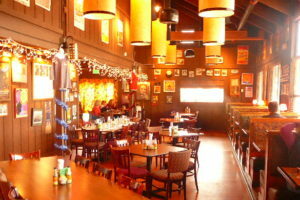 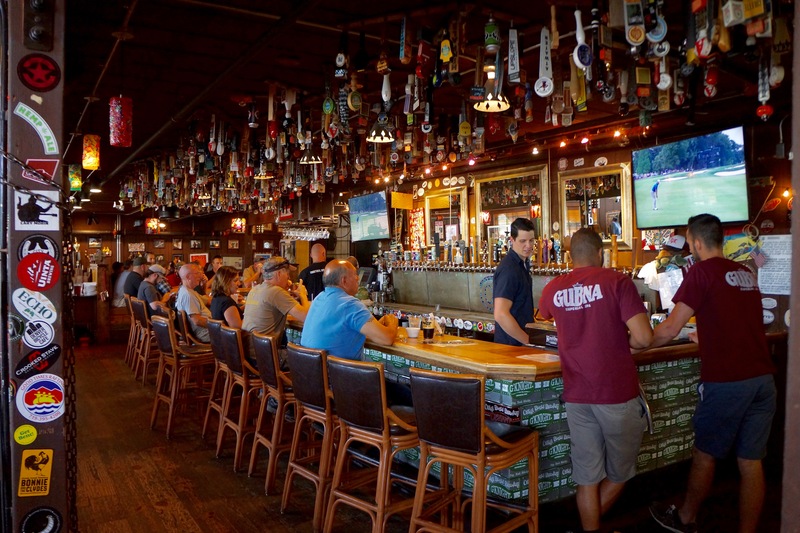 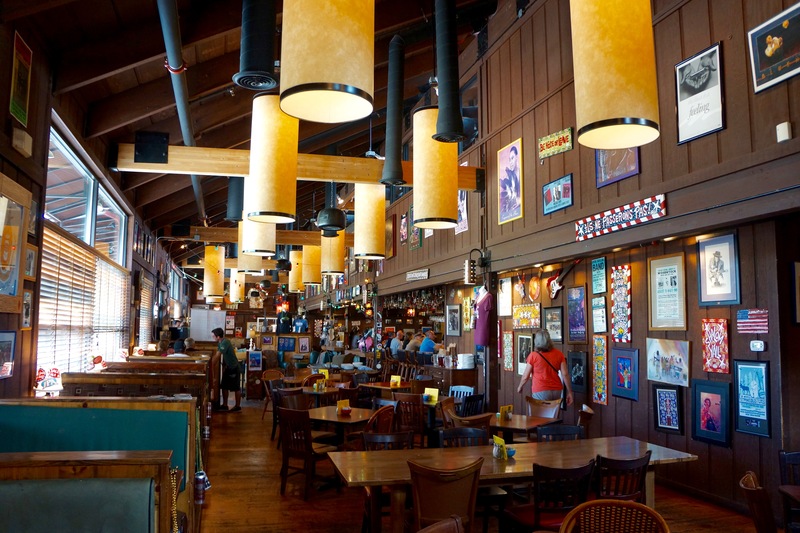 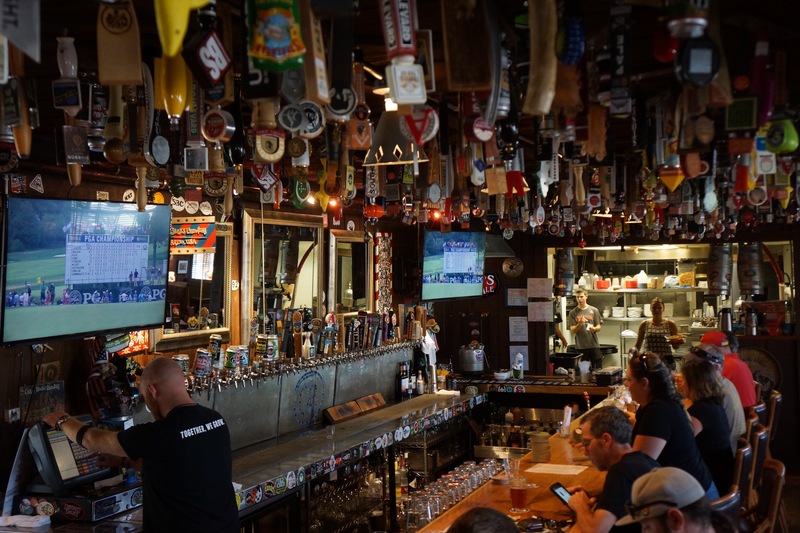 Remodel tap room/restaurant: Oskar’s is that classic hip joint with 43 beer taps, casual dining, large beer garden, and live music venue. The biggest taproom in the market quickly became the destination for discriminating beer drinkers, which appreciated the Oskar Blues beers but other local craft brewers as well. 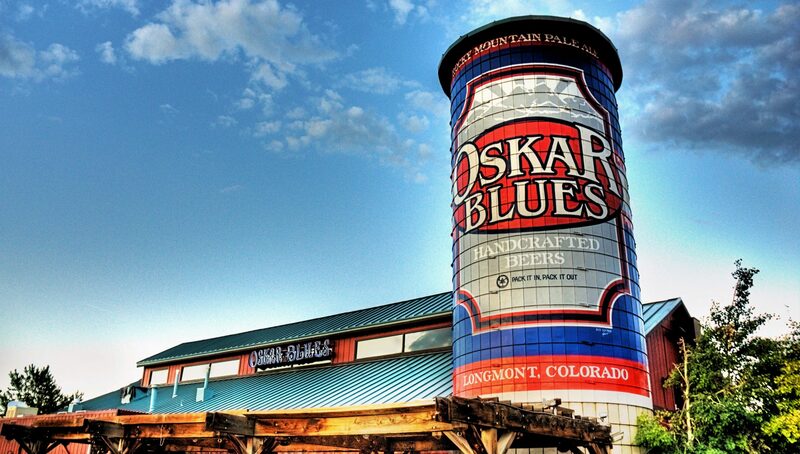 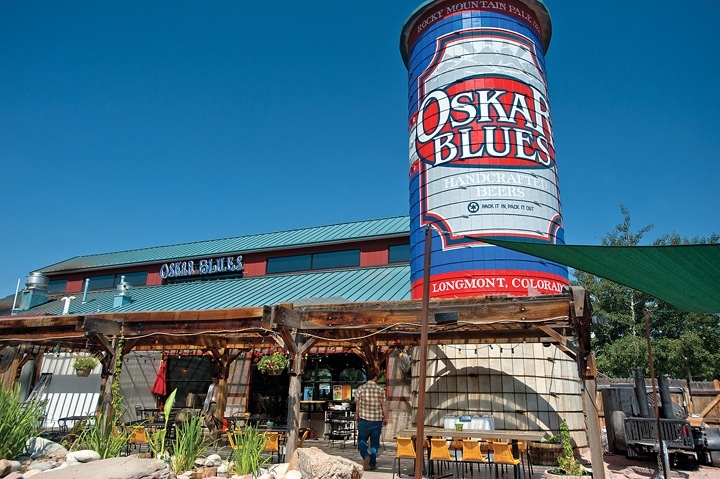 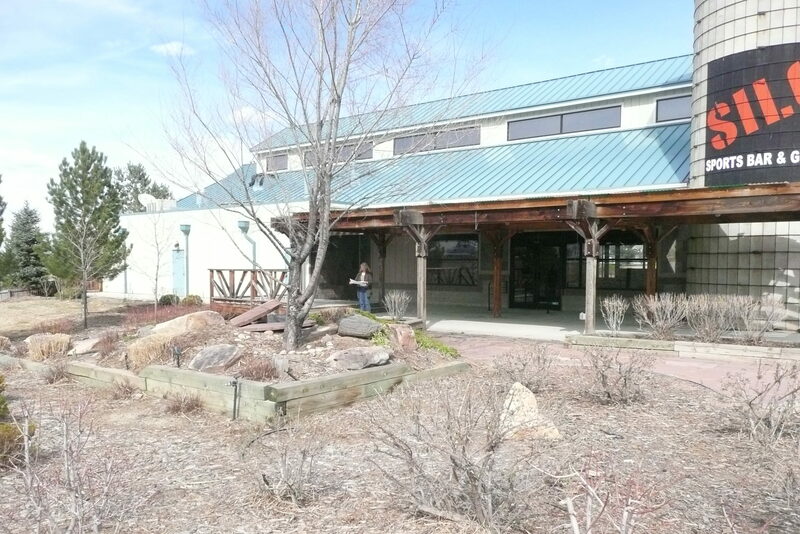 We converted, with much city negotiation, the integral silo found on the property into a can of one of Oskar Blues beers, which has now become a gateway icon into Longmont, Colorado. 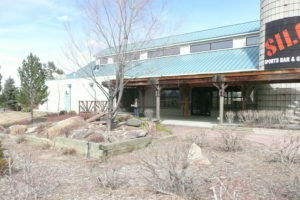 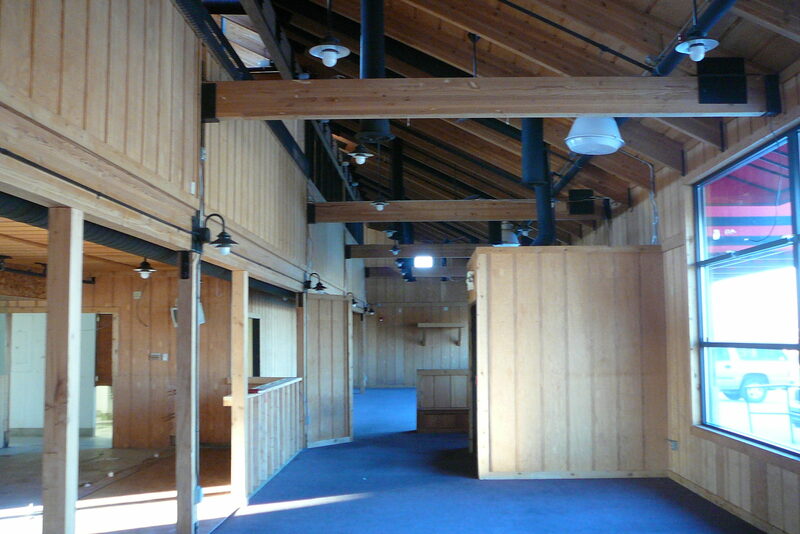 On the second floor a small support bar services additional dining and the music venue. 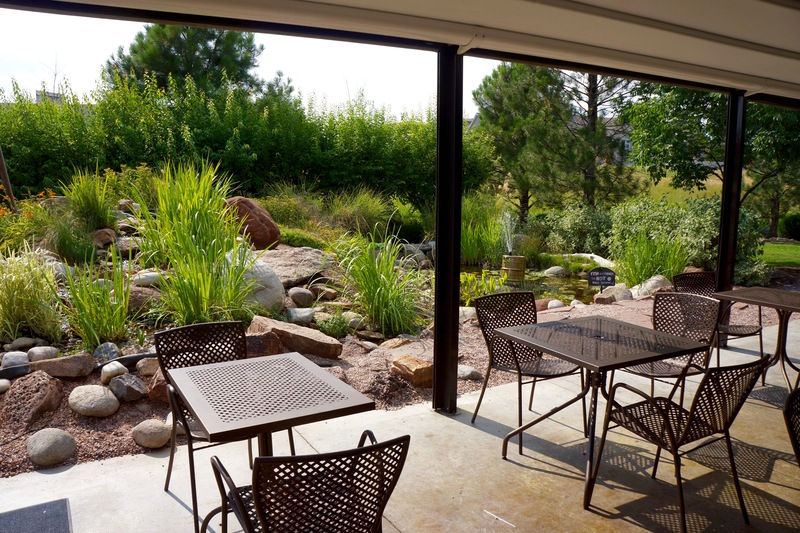 A portion of the outdoor patio can be enclosed and heated to add more seating in the shoulder seasons. 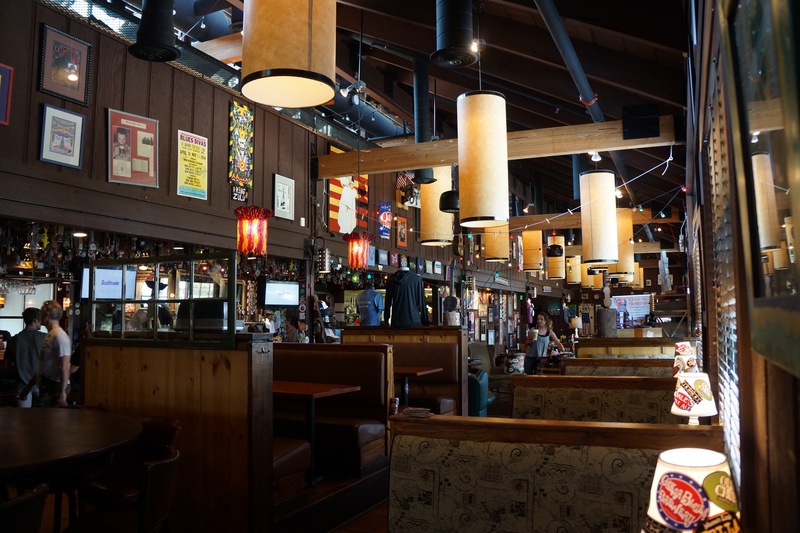 The initial challenge was converting this new cedar lined interior to feel the it was an old and well established location similar to the first Oskar Blues some 13 years its predecessor. This was achieved by specially toning the entire wood envelope with the correct stain converting new cedar to old cedar, and adding a “thousand” pieces of artifacts. 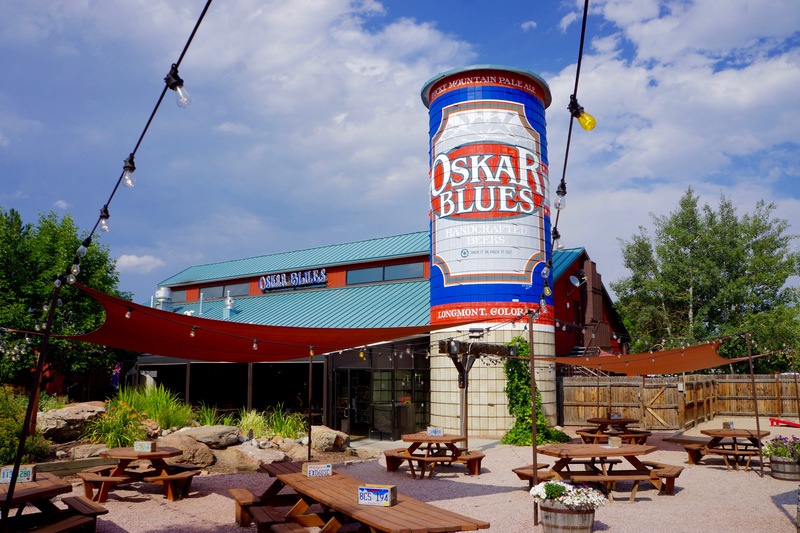 Converting an old upright piano into a hostess station exemplified a number of unique elements that supported the Oskar Blues brand being unique and a little quirky.